We often take what we have for granted. The everyday things we have today were only dreams for our parents to have yesterday. With each passing generation, we try to center in on one goal: give our children what we never had. 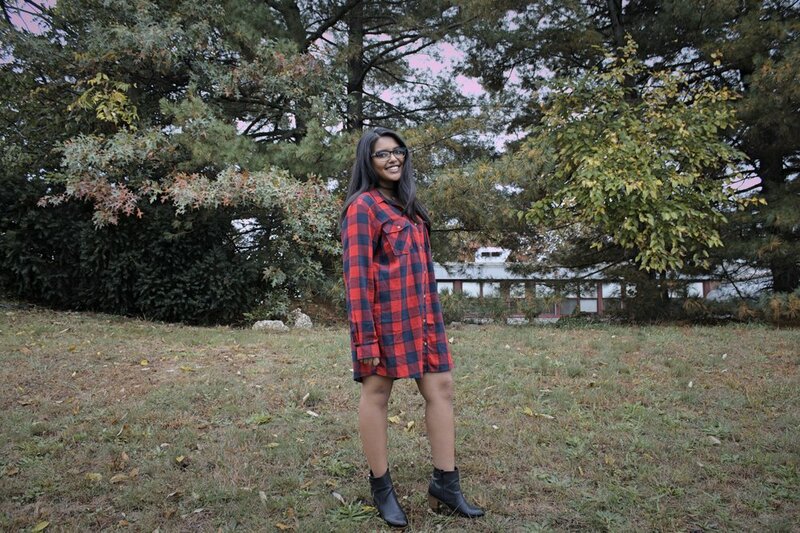 Today's fall fashion featured individual is Maleah, who speaks of her first time back to her parents' home of India. When she first arrived in Mumbai, it was a huge culture shock. It's the most populous city in India with nearly double the population density of New York City. People live a lot closer together in Mumbai and are a lot poorer than here in the United States. In some districts of Mumbai, they may not have constant electricity or running water. It's often hard to put food on your plate, get an education, and provide a good life for your family. It wasn't all despair though. 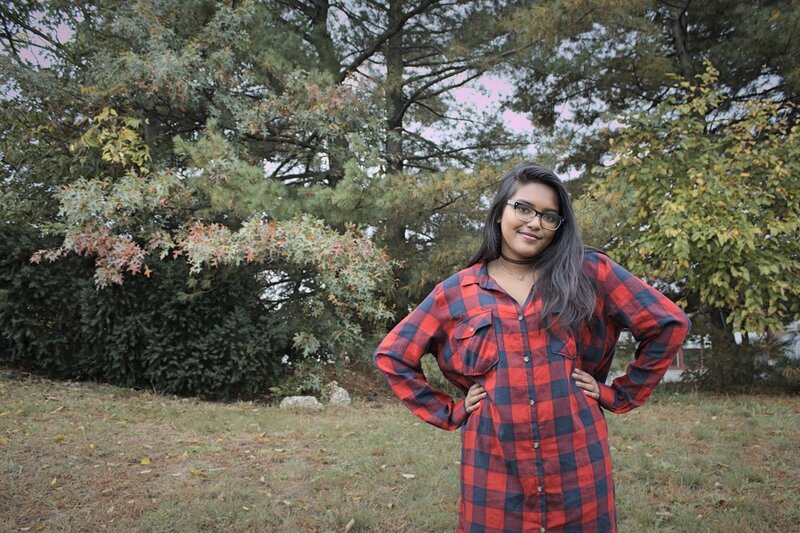 Maleah talks about the authentic food in India, and as much as we love our moms, it's certainly a step up from what can ever be replicated in the States. Most of her extended family lives in India too, so it's amazing to see the whole clan back together again. Maleah's parents are one of the only ones from her family to come to the United States. Her father was born in Guinea and lived in Goa, India. He packed up everything he had and scrounged up all his money to come to the United States with nothing more than what he carried. Her mother, although originally from India, came from Kuwait. During the Invasion of Kuwait in 1990, she fled the country. Luckily, she was one of few to get a ticket to the United States. Sometimes it's important to appreciate what our parents had to go through to get where they are today because we may not exist if they didn't. Maleah also adds on about visiting her dad's home of Goa. Her father's friends instantly recognized him, and they talked as if the last few decades didn't do a thing to pull them apart. Catholic Men in Goa also have a tattoo of a cross and a G on their thumb, which reminds Maleah's father of where he comes from everyday and is a sign of brotherhood in his home. Maleah's rocking a simple fall outfit for today. 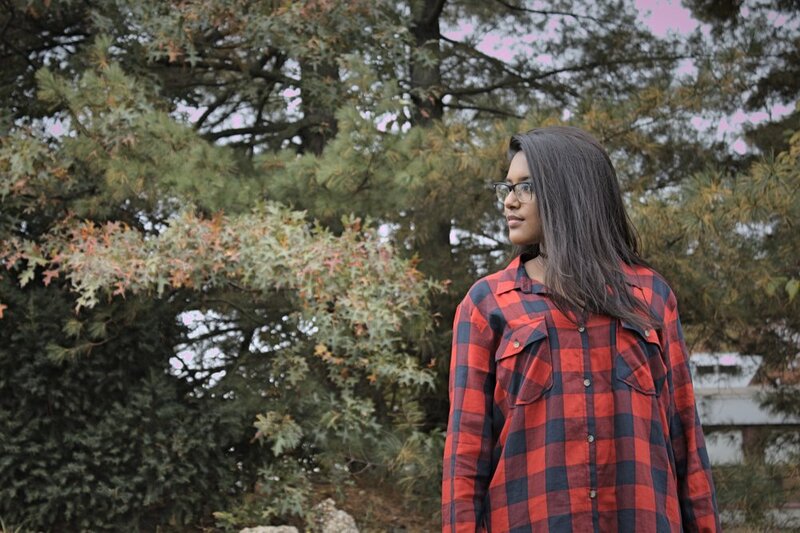 It begins with the main piece, the women's red and black check shirt. It coincides with the popular oversized look that's becoming an ever more prevalent fashion trend. The check pattern and the red color of Maleah's shirt are also very fitting for women's fall fashion. For the shoes, Maleah has on a pair of leather, black booties with block heels. Together, the red and black check shirt along with the leather boots create an easy and stylish outfit for this fall season fashion. To look good, you don't always need to wear a lot of complex clothing. There's always a beauty in simplicity. Keep rocking, Maleah!